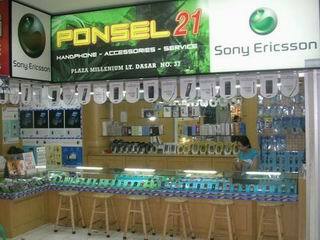 Ponsel 21 has been serving the wholeselling and retailling market since its inception in the year 2006. Our business commenced in Indonesia, with a branch in Medan operating concurrently, consisting initially of only 3 to 5 employees. As the IT industry was experiencing rapid growth during that period of time, we started out by building our reputation as a premier supplier of various computer service devices, repairing tools, and spare parts. This year, 2007, keeping in mind the emerging business trends worldwide, where many successful global wholesaler and retailers were vigorously including different varieties of products as an approach to attract more customers, Ponsel 21 also decided to expand its product range and bring the business online. As this initiative took off, more business opportunities started emerging, each of them opening up fresh revenue streams.